Diplomats and analysts say they believe Iran is getting closer to producing a nuclear bomb. While Iran continues to deny that it has nuclear weapons program, but one diplomat who spoke to Reuters News Service says Iran is pursuing nukes to discourage the United States. The diplomat says after the coalition invaded Iraq, Iranian leaders decided the only reason North Korea wasn’t invaded was because it is armed with nukes. So Iran said, hey we better get one. 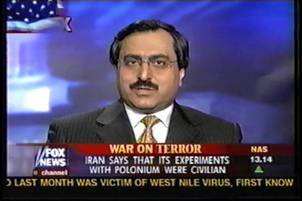 With us now from Washington, is Fox foreign affairs analyst, Alireza Jafarzadeh. He is live in our Washington bureau. Shepard Smith: You know these reports that come out, does that hold water for you, does that make sense that that’s what has happened, or is it an ongoing problem? Alireza Jafarzadeh: Well, I think it is an ongoing problem Shepard. Certainly the developments [in the region] in the past couple of years have further strengthened Iran’s resolve to get the bomb. The other factor also being the tremendous opposition inside the country on the part of the Iranian population. But this is not the reason that Iran’s nuclear weapons program started. In fact, Iran’s nuclear weapons program started in the early 80’s as a part of the bigger agenda they have for the region to establish …. Shepard Smith: And we knew that, right? Alireza Jafarzadeh: Well, there were suspicions that Iran had nuclear ambitions, but it was actually in August of 2002, that Iran’s main opposition, the National Council of Resistance revealed a number of nuclear sites that were not disclosed by Tehran, and that drew a lot of international attention and the focus on Iran’s nuclear weapons program. Shepard Smith: You know Maureen Doud’s column was titled today, “right axis, wrong evil.” There seems to be mounting evidence that Iran was a bigger problem that Iraq, in hindsight, and it is comfortable here on the Monday Morning chair. But is it time to getting there and do something? Alireza Jafarzadeh: Well, I don’t want to do Monday morning quarterbacking, but certainly I think it is long overdue. Iran has been the center of the problems in the region. Look at the Iraqi situation; in the past few days, a number of Iraqi officials, including the Defense Minister and the Interior Minister, said that Iran is the main source of violence and instability in Iraq. They have this very ambitious nuclear weapons program, they are supporting all these terrorist groups. The recent revelations by the 911 commission I think shed some light; the fact that Iran deliberately provided assistance to the highjackers, to be able to go thru Iran. So, I think it all boils down to what policy the US should pursue to both contain the threat of Iran’s nuclear weapons and the bigger problem Iran is posing. Shepard Smith: Now, there is this risk, I guess that the Security Council won’t act. And the suggestion has been made by Mohammad ElBaradei, that if it doesn’t act, then we can end up with another North Korea on our hand. Is that over stating things? Alireza Jafarzadeh: I think everything you just said is basically under statement. I think what the US should do at least at the IAEA level, is to pursue a zero tolerance policy. Iran has been long in violation of non-proliferation treaty, they should have been referred to the UN Security Council and I think in the upcoming September session of the IAEA Board of Governors, Iran should be referred to the Security Council, and I think the other thing the US should do on the political side, is to step up political pressure on Tehran, by pursuing a policy of regime change. I think that is the only way you can get Tehran to do anything, and there is a growing consensus in Washington to pursue that especially in the Senate side. 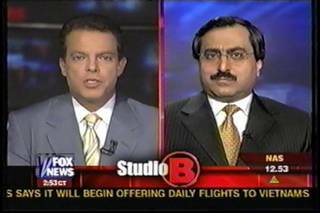 Shepard Smith: We got to go regime change, Ohhh, Alireza Jafarzadeh, thank you.